Next Tuesday’s Stuart meeting and others of the ACOE, for input on updating the Lake Okeechobee Operations Schedule, are quickly approaching; if you cannot attend in person, please write. Today I share the letter of Geoffrey Norris PhD, FRSC, who my blog readers are familiar with as he has been a guest writer many times. His is an excellent letter, and can give you ideas of how to compose your own, if you cannot attend in person. Thank you everyone for being part of the River Movement that is changing state politics and policy so we can leave something better to the children of today, and in the future. 2013, Ceila Ingram, K.C. Ingram’s daughter, one of the original River Kidz. My name is Geoffrey Norris, and I am a resident and property owner in Martin County, Florida. 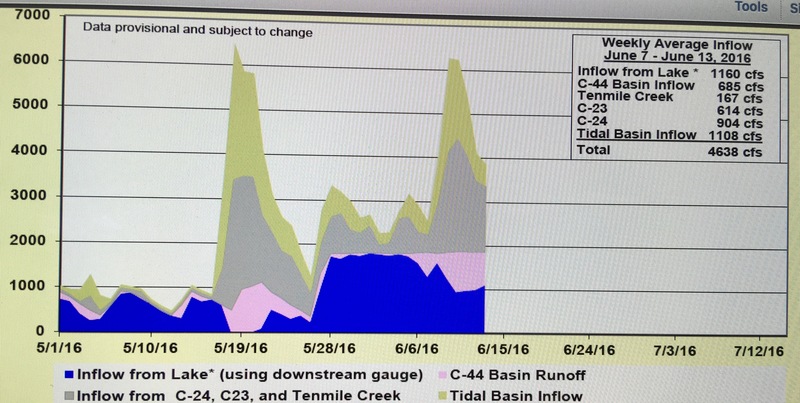 I have recently provided the U.S. Army Corps of Engineers with written input to your scoping meetings in the way of anecdotal evidence suggesting that the ACE-mediated water releases are having a devastating impact on the ecosystems of the coastal areas in east Florida. This, in my judgement, is having a severe negative impact on the economy of Florida, which is largely built on and sustained by the natural aquatic ecosystems. 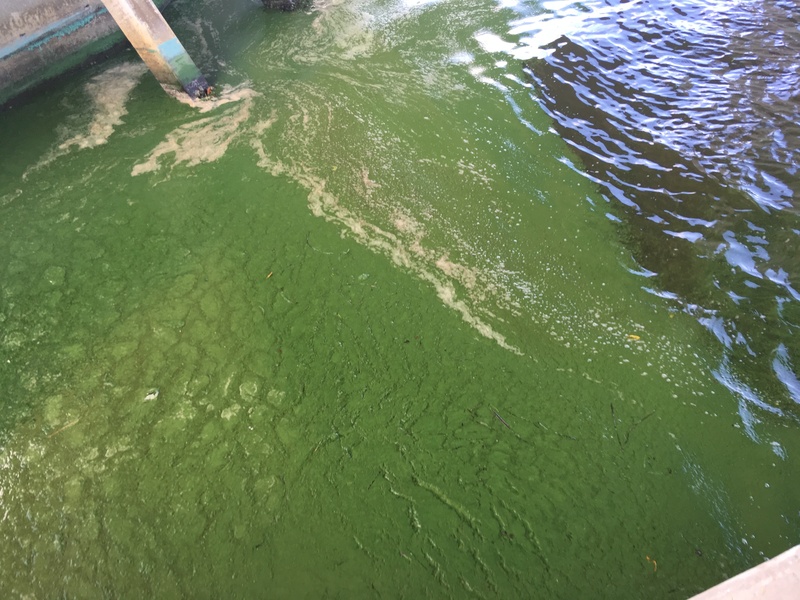 I now wish to provide you with my scientific opinion on the cyanobacterial (blue-green) blooms and dinoflagellate blooms (red tides) that are associated with the destruction of ecosystems of the lacustrine, estuarine and coastal waters of much of Florida’s littoral zone. In the following discussion, the acronym ACE refers to the United States Army Corps of Engineers. But first let me outline my credentials: I have been actively involved as an earth scientist in the study of microscopic algae (dinoflagellates) and associated organic micro-organisms for about 50 years. My expertise is as a paleontologist, not as a biologist, but I am familiar with earth science and life science literature pertinent to fossil and living dinoflagellates and associated organisms. I have written many research papers on the subject, and am a co-author of a seminal book on the classification of living and fossil dinoflagellates, which continues to be widely referenced by research scientists. I am a Professor Emeritus at the University of Toronto where I directed a research laboratory devoted to organic-walled algal microfossils for more than three decades prior to retirement, and was Chair of Geology for a decade. I was a visiting scientist for several months at the Florida Marine Research Laboratory, St Petersburg (now incorporated in the Florida Fish and Wildlife Conservation Commission) researching aspects of the life cycle of certain dinoflagellates. I have taught students about marine-estuarine ecosystems in field trips to Florida Bay, the Everglades, and the Keys. I am old enough to remember how Florida once was in the 1960s before habitat destruction had become so severe. More recently I have been involved in extensive applied paleontological research on the geology of the outer continental shelf and continental slope flanking the Gulf of Mexico, including documenting the evolutionary history and ecology of marine and brackish dinoflagellates over the last 60 million years in the Gulf and the adjacent southern states. I am a Fellow of the Royal Society of Canada, which is more or less equivalent to the U.S. National Academy of Sciences that recognizes the country’s leading research scientists for outstanding achievements. As you know, Lake Okeechobee has been converted over the decades from a once-dynamic lake system to a virtually static reservoir. In the early days, input to the Lake was provided upstream by a variety of rivers. 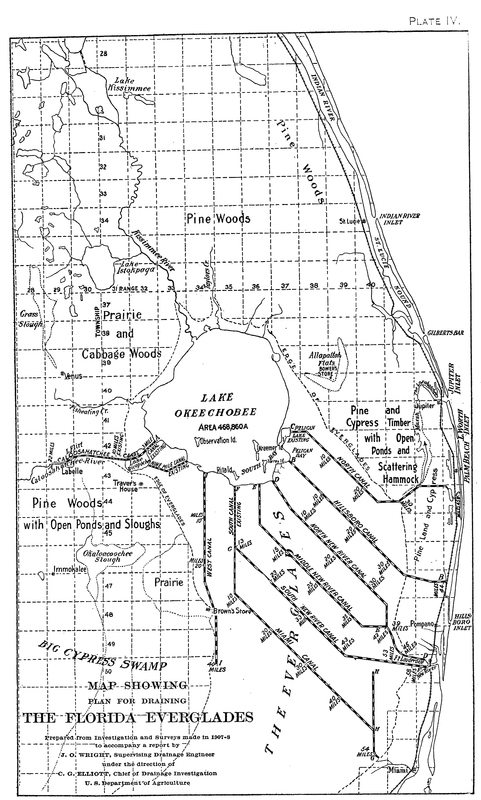 Output occurred over the southern rim, discharging water seasonally into the uniquely very wide and very shallow “River of Grass” that traversed the Everglades, and eventually drained into Florida Bay. Over the years (1930-1960), in response to various circumstances, the southern rim was raised and strengthened and eventually became the Herbert Hoover dike. At that point, the lake ceased to exist functionally as a dynamic system, and might now be better called the Lake Okeechobee Reservoir. 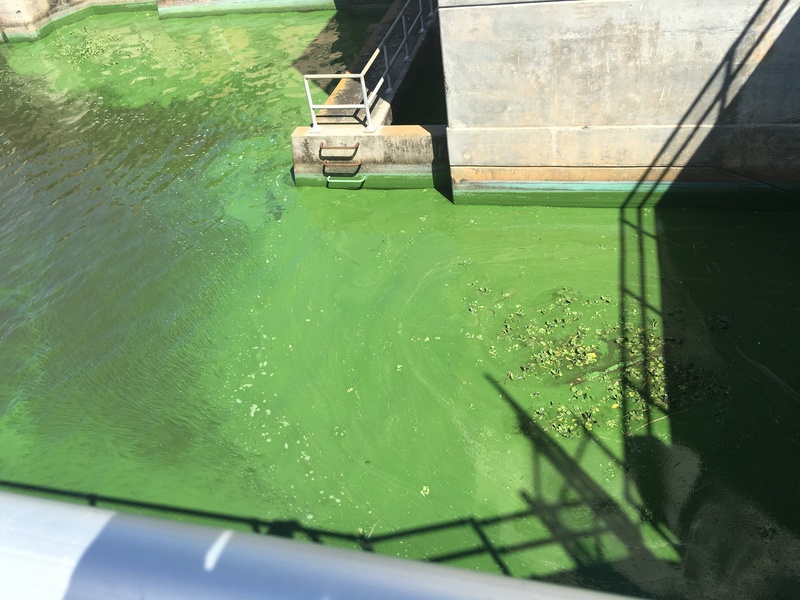 It is a semi-static system with no natural outflow, and now functions to trap nutrients and hold them indefinitely until the water managers make decisions regarding discharges. This is the nub of the problem – how to control and release water, in what quantities and in what directions, and how to remove the nutrient and microbial overload from the water. For many years the problem was simplistically stated as a flood control measure, but as the nutrient loading and consequent lake eutrophication became more apparent it also became clear that dumping excess water from Lake Okeechobee into outflow canals directed to the east and west coasts was creating a major problem, not solving one. During the latter two or three decades of the 20th century, phosphorus in the Lake Okeechobee Reservoir increased markedly. 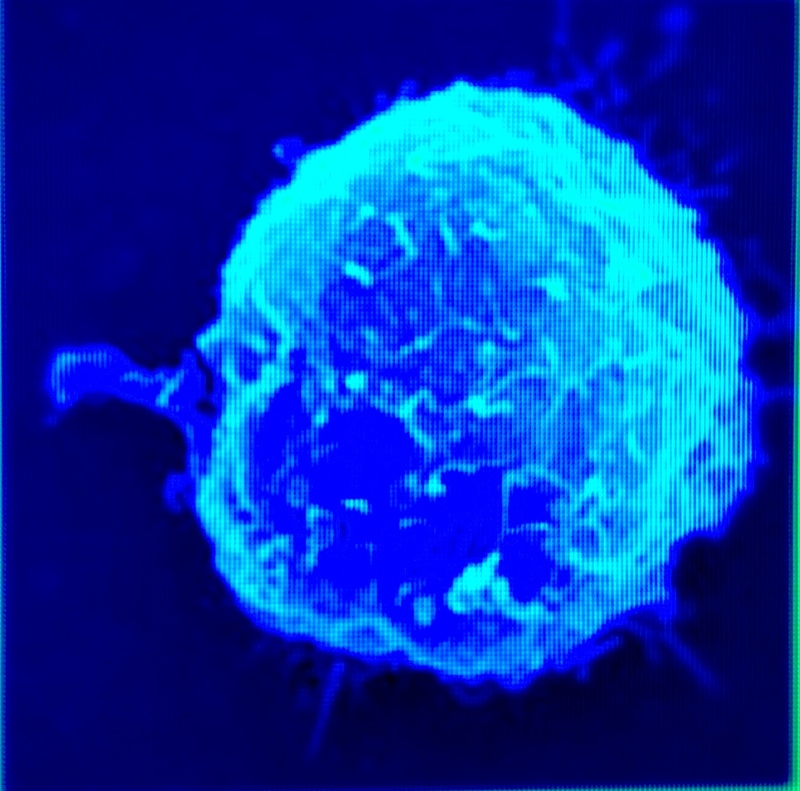 High phosphorus content tends to favor cyanobacteria such as the toxic Microcystis, and tends to exclude microscopic and generally benign algae which otherwise might be expected in a lake, for example: dinoflagellates, diatoms, green algae, and other planktic or benthic photosynthetic organisms. 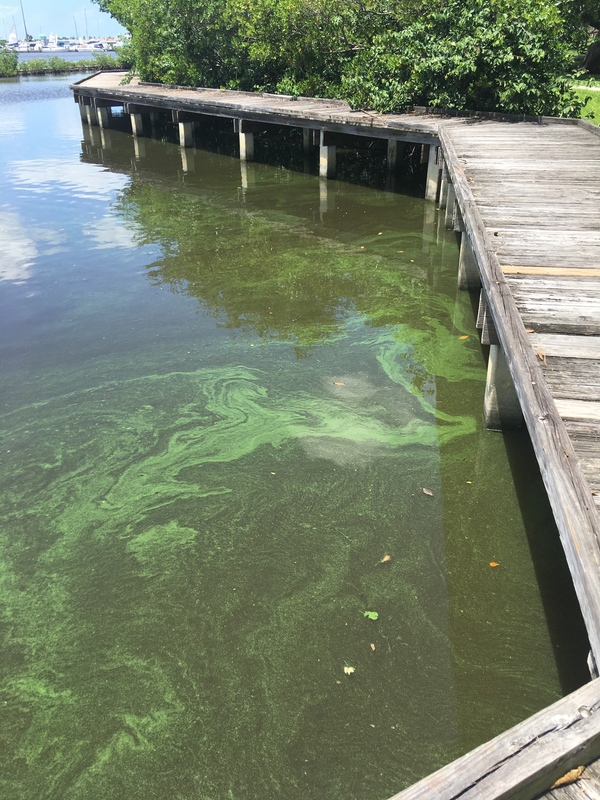 Major blooms of blue green toxic cyanobacteria became more frequent and intense in the early 21st century, and now are close to becoming a persistent annual feature in Lake Okeechobee and in the ACE water-dumping grounds. The seasonal release from the Lake by the Army Corps of Engineers of highly toxic water infected with cyanobacteria is simply not acceptable. This is not a solution – this is a travesty and a betrayal of trust by ACE for the American people it serves through their elected representatives in Congress. The Mission of ACE is clear: “The U.S. Army Corps of Engineers’ mission is to provide vital public engineering services in peace and war to strengthen our Nation’s security, energize the economy, and reduce risks from disasters” (emphasis is mine). Unfortunately, you seem to be doing the exact opposite. How secure can the public feel when you poison our water? How can you claim to energize the economy when you are driving Florida’s principal industries into the ground? How can you claim to be reducing risks from disasters when you are pumping toxic effluent into our environment and endangering the lives of humans and animals alike with disastrous consequences for the ecosystem? No, clearly you are on the wrong track, and you need to reevaluate how you handle the remediation of the Lake Okeechobee Reservoir. Here are some ideas that might be worth exploring as you re-formulate your strategy. High phosphorus loadings in bodies of water are not new, particularly since the advent of the green revolution in the 1970s. Fertilizer mixes are applied liberally to agricultural land on a global basis, and nutrient pollution of freshwater and marine water bodies is becoming commonplace. 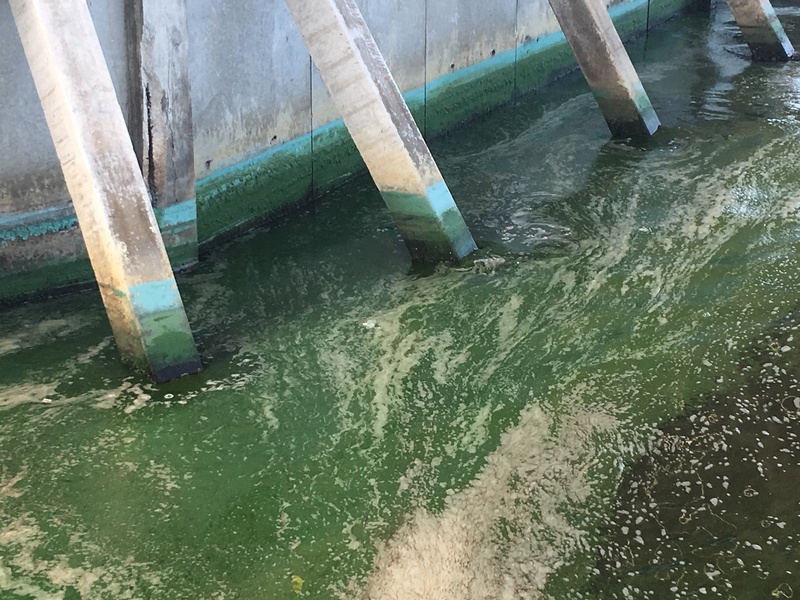 Getting rid of bio-available phosphorus (dephosphatisation) in the water and the bottom sediments of the Lake Okeechobee Reservoir would help to reduce the probability of toxic cyanobacterial blooms forming. One possibility is the use of lanthanum-modified bentonites, kaolinites, or zeolites to permanently remove the phosphate from the water. These dephosphatisation agents have been used elsewhere in the world to remediate lakes that have undergone eutrophication and massive cyanobacterial infection. 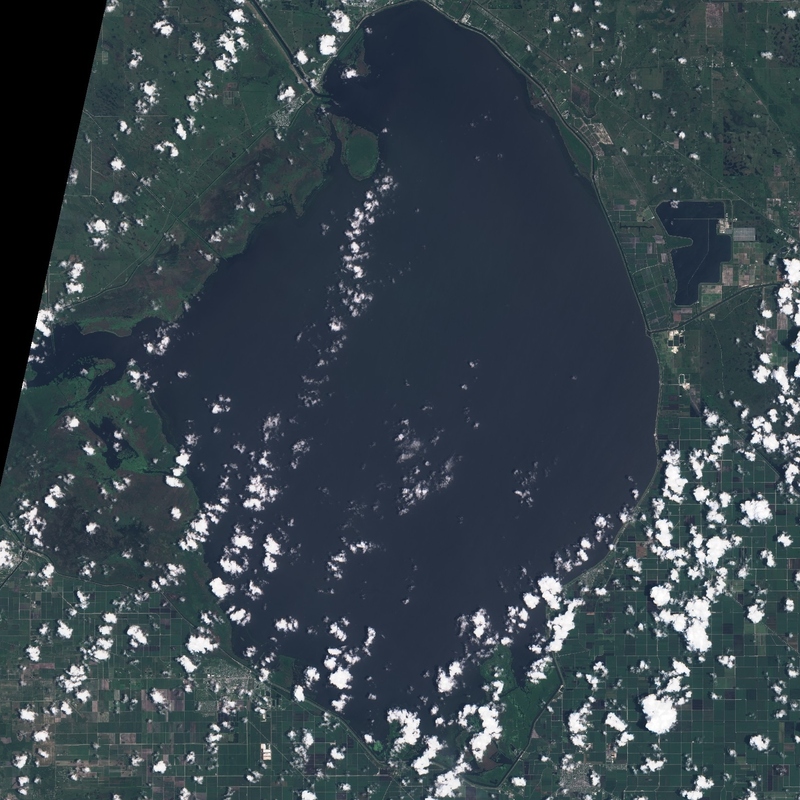 Why not the Lake Okeechobee Reservoir? Other alternatives to clay minerals used for dephosphatisation include such substances as fly ash. Fly ash is produced in abundance in the Everglades Agricultural Area when the sugar cane is burned off during harvesting– could these tens of millions of tons of vegetation accruing annually be converted to fly ash and captured and collected and used to lock up the phosphorus, rather than continue the present practice of discharging fly ash into the atmosphere and polluting the area for miles around all the way to the coast? Just a few days ago, a paper was published showing that microcystins (toxins associated with cyanobacteria) from Lake Erie could be removed by using treated rice husks as a sorbent material, and then recycled or disposed of using sand (“Treated rice husks as a recyclable sorbent for the removal of microcystins from water, Dilrukshika et al, Science of the Total Environment, available online 5 February 2019, Elsevier.”) Perhaps there are other agricultural waste products that could be used for this purpose in addition to rice husks. Now is the time to come up with big bold ideas with the potential to address this huge issue. Sitting with your hands on the flood gate controls will solve nothing. Even if nutrients and toxins can be removed from Okeechobee water, the Army Corps of Engineers must stop displacing brackish water that occurs naturally in our estuaries and lagoons with massive amounts of lacustrine freshwater. Freshwater is certain death to estuarine sea grasses, shell fish, bonefish, marine vertebrates and other estuarine fauna and flora. Sending massive amounts of freshwater to offshore marine areas is also not an option for similar reasons and must be stopped forthwith. ACE should think big! Send the water south again, into the wetlands where it was once a vital component. ACE should think Marjorie Stoneman Douglas’s “River of Grass”! Reconstructed wetlands to bio-cleanse effluent are not new technology, having been used since the mid-20th century, and are now being aggressively installed to efficiently cleanse polluted water in areas such as Lake Erie which has huge nutrient pollution problems and attendant toxic cyanobacterial problems. Stop using glyphosate/Roundup to kill cattails (Typha) in and around Lake Okeechobee Reservoir. The Army Corps of Engineers has been killing cattails and other littoral zone plants in and around the Lake Okeechobee Reservoir with glyphosate (Roundup) since at least the year 2000, according to the ACE website. This efficient vegetation killer is known also to magnify the effects of phosphate release in sediments, hence favoring the growth of cyanobacteria. The cyanobacteria in turn are known to be potentially capable of becoming genetically resistant to glyphosate toxicity. Glyphosate is suspected of being harmful to human health, although its putative harmful effects are controversial. Recent court judgements, however, support its status as a carcinogen. 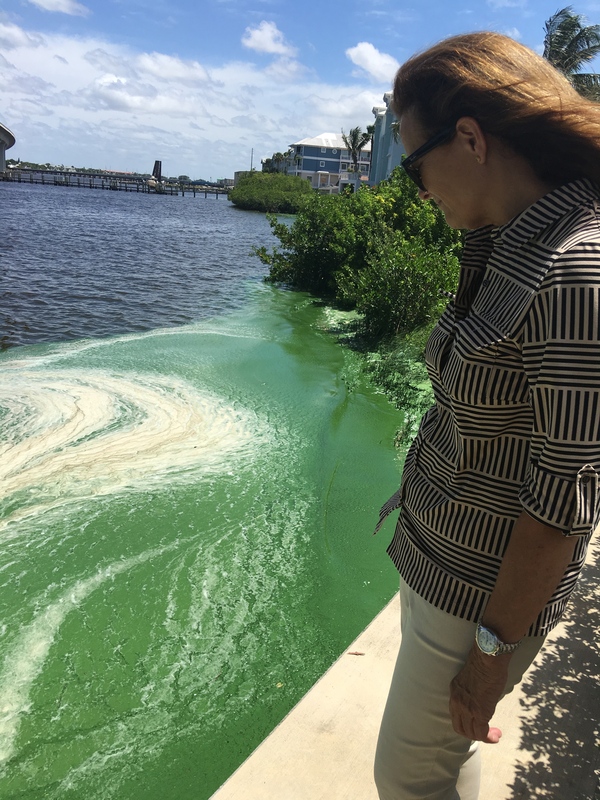 For all these reasons, ACE must discontinue the use of glyphosate/Roundup in the Lake Okeechobee Reservoir, and must enforce the ban of back-pumping potentially toxic effluent from the sugar cane fields to the Lake Okeechobee Reservoir. 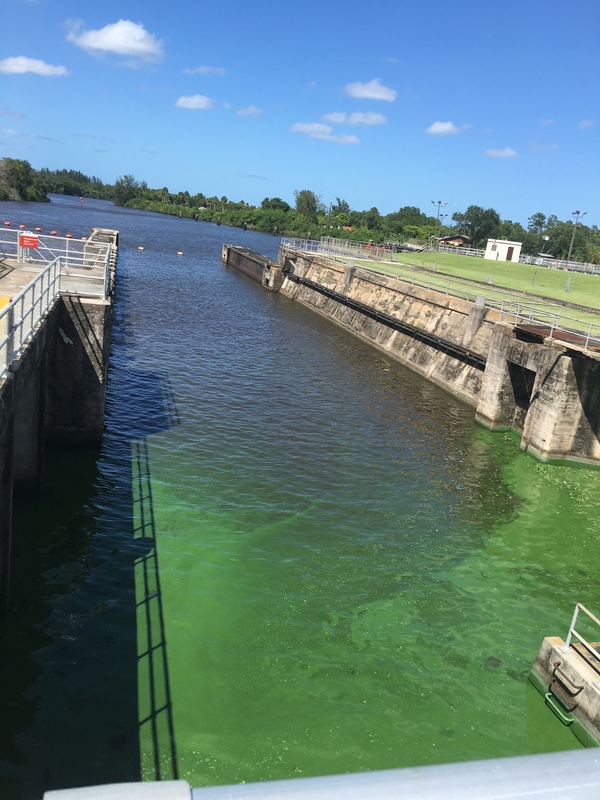 The continued release by the Army Corps of Engineers of massive amounts of nutrient-rich water from the Lake Okeechobee Reservoir into the Atlantic Ocean and the Gulf of Mexico is contributing to the problem of red tides in marine coastal waters caused by blooms of the dinoflagellate, Karenia. 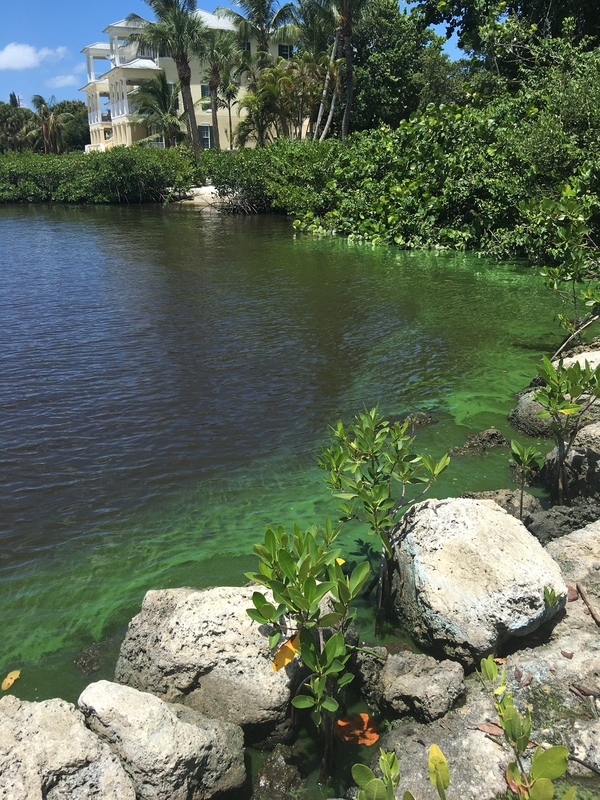 Red tides have plagued Florida for a long time, but in recent years blooms of Karenia have changed from being an occasional seasonal nuisance, to a chronic, multi-seasonal, multi-year threat to human health. Nutrient pollution is one of several factors implicated in the rise to prominence of Karenia red tides. 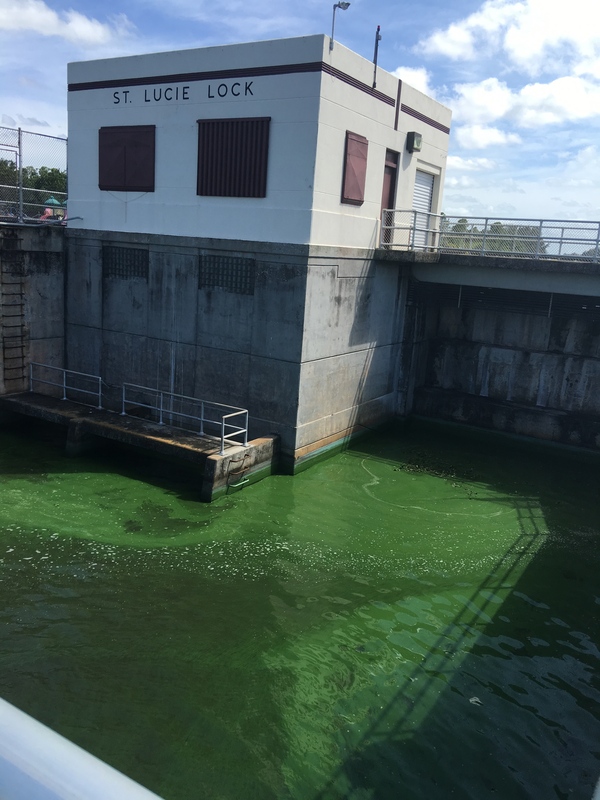 The Army Corps of Engineers has a continuing responsibility to preserve the marine ecosystems of Florida as well as reduce the risks to human health by discontinuing the discharge of nutrient-rich water from the Lake Okeechobee Reservoir to the marine coastal waters. In conclusion, the Army Corps of Engineers is faced with a huge problem, but this should be looked upon as a huge opportunity for your organization to exert its leadership and provide the vital engineering services to the people who so desperately need them. Thank you for reading my views on this really important issue. I cannot emphasize enough how important it will be when ACE makes the transition to a modern environmentally-conscious organization that truly provides vital public engineering services in peace and war to strengthen our Nation’s security, energize the economy, and reduce risks from disasters. I sincerely wish your organization both good luck and adequate funding from Congress and elsewhere to carry out your mission effectively. For me this memorandum, perhaps more than other work published, helps the everyday person understand Senate Bill 10. Thus I share today. Thank you Senate President Joe Negron, “Champion of champions,” for the St Lucie River/Indian River Lagoon! I greatly appreciate the support many of you have provided over the last several years as my home community and others across our state have been flooded with billions of gallons of polluted water that destroys our estuaries and harms our local economies. Today Senator Bradley filed Senate Bill 10, an act relating to water resources, to begin the formal process of purchasing land to increase water storage south of Lake Okeechobee. This legislation provides a clear plan to address this plague on our communities in a manner that respects the interests of the agricultural community and private land owners. While I have had the opportunity to discuss this critical issue with each of you, I wanted to provide a brief summary of how we arrived at this solution as well as a summary of Senator Bradley’s legislation. Background: Record rainfall this past year resulted in unseasonably high water levels in Lake Okeechobee, which threatened the integrity of the Herbert Hoover Dike. 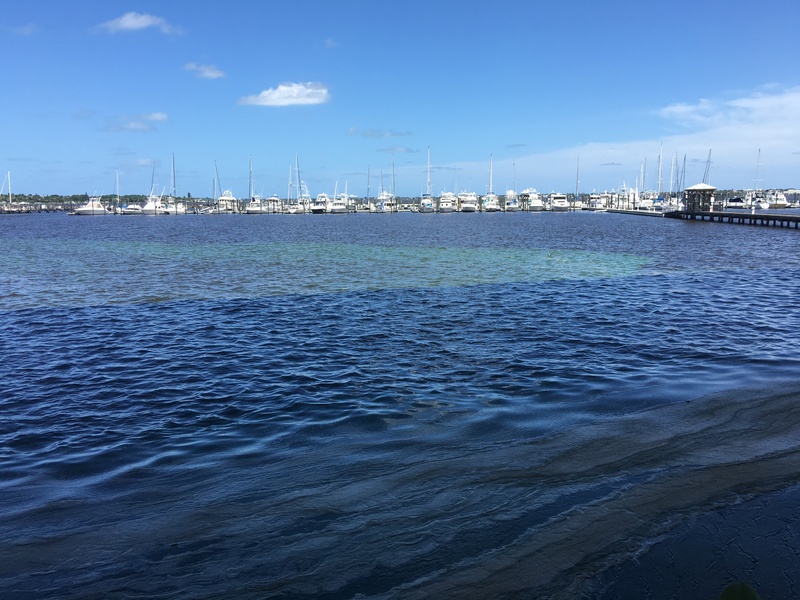 To maintain safe water levels, the Army Corps of Engineers authorized the release of billions of gallons of water from the Lake to the St. Lucie and Caloosahatchee Rivers. Such freshwater discharges cause significant environmental damage by lowering the salinity levels of the estuaries and introducing pollutants into coastal waters. 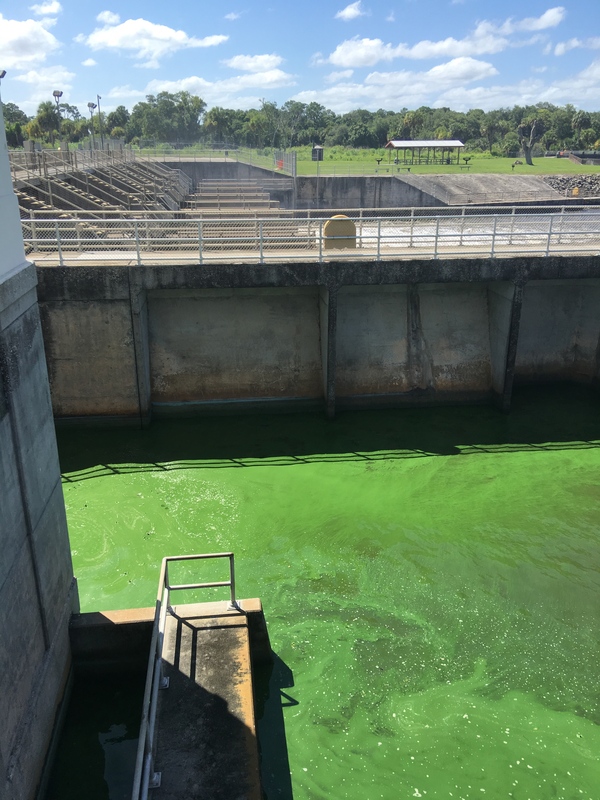 Due to the discharges this summer, massive amounts of toxic algae that originated in Lake Okeechobee were sent to the estuaries and coastal waterways. The extent and severity of the blooms resulted in Governor Scott declaring a state of emergency in four Florida counties. 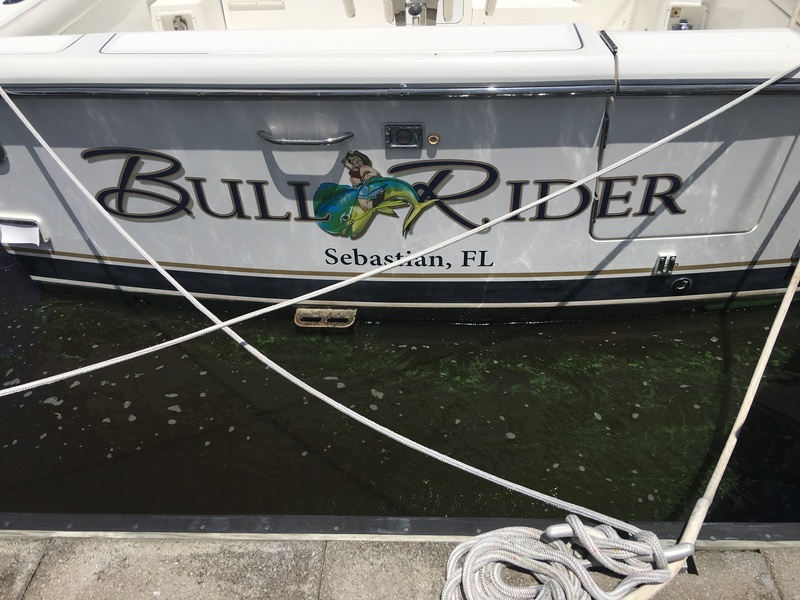 These algal blooms have occurred before and will occur again unless high volume discharges from Lake Okeechobee are stopped and pollution in the Lake Okeechobee basin is abated. 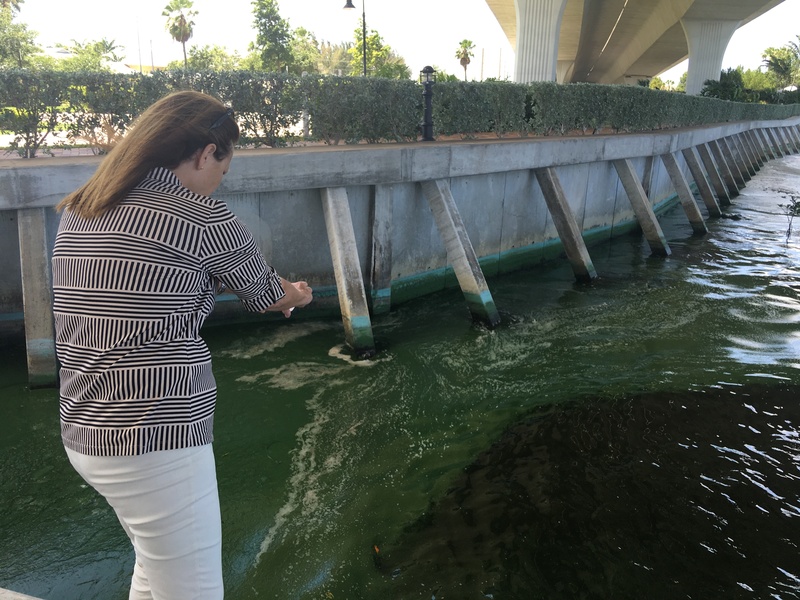 Algal blooms are not simply an unsightly nuisance for residents and tourists. They bring real health risks to humans and wildlife and result in severe economic damage to local businesses. 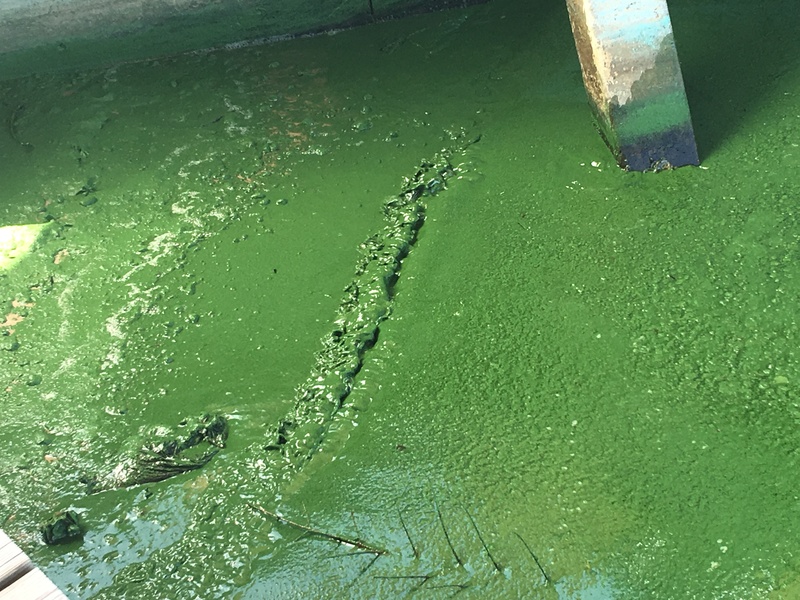 As a result of the high volume discharges, coastal communities experienced enormous harmful algal blooms with devastating impacts not only to the ecology of local waterways, but also to residents, fishermen, and local businesses. 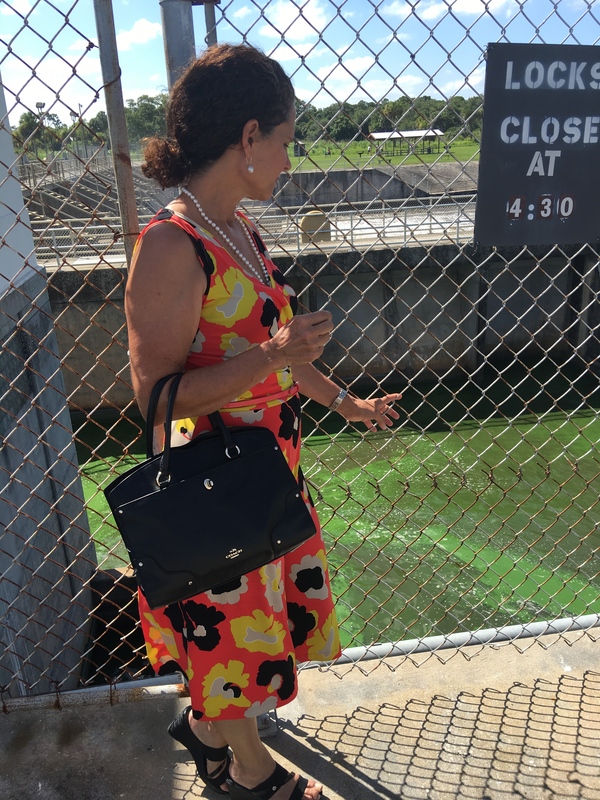 Despite the sincere efforts of our state and federal government to plan and fund long-term solutions to address rising water levels and pollution in Lake Okeechobee, year after year as the Lake levels rise, the solution is to flood my community and many others across our state with billions of gallons of polluted water. From Governor Jeb Bush’s historic support of the bipartisan Comprehensive Everglades Restoration Plan (CERP) in 2000 to the recent University of Florida Water Institute study commissioned by the Senate and completed in 2015, for nearly two decades, there has been scientific consensus and recognition by state leaders that additional water storage south of Lake Okeechobee is necessary to stop this ongoing problem. This sentiment was reiterated as speaker after speaker addressed our Appropriations Subcommittee on the Environment and Natural Resources calling for increased storage south of the Lake. 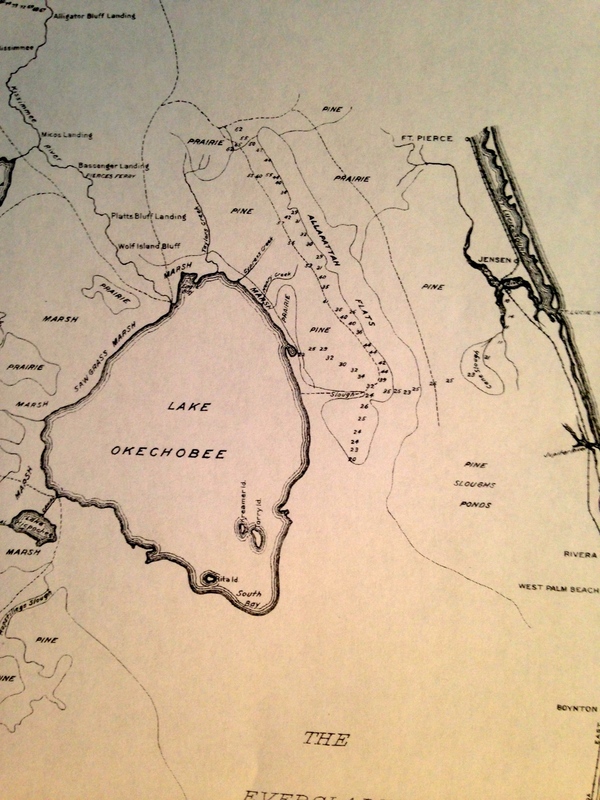 Senate Bill 10 authorizes bonding a portion of proceeds from the Land Acquisition Trust Fund, set aside by the voter-approved Water and Land Conservation Amendment (Amendment 1, 2014), to purchase land and construct a reservoir south of Lake Okeechobee to reduce harmful discharges to the St. Lucie and Caloosahatchee estuaries. Senate Bill 10 Summary: Senate Bill 10 authorizes the issuance of bonds to raise over a billion dollars to acquire 60,000 acres of land and build a reservoir south of Lake Okeechobee to reduce harmful discharges to the St. Lucie and Caloosahatchee estuaries.The reservoir is expected to hold 120 billion gallons of water, approximately as much water as was discharged from Lake Okeechobee into the St. Lucie Estuary between January and May of 2016. The creation of significant storage capacity south of the Lake will help manage Lake levels in anticipation of periods of high rainfall like this year’s predicted El Nino weather pattern. 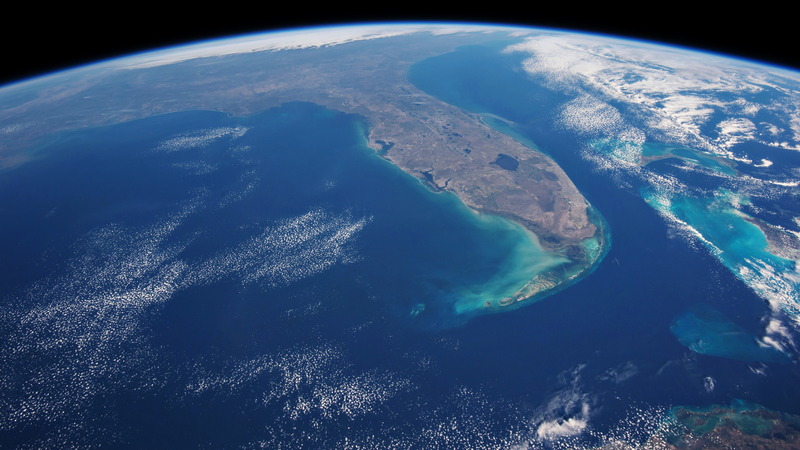 Storing water during the wet season provides the additional benefit of allowing water to be sent south to hydrate the Everglades and Florida Bay, or for agricultural use, during the dry season. The estimated cost of a reservoir on 60,000 acres of land providing 120 billion gallons of storage in the area south of Lake Okeechobee is roughly $2.4 billion. With the federal government paying at least half of the cost of such a reservoir, the state’s commitment would be $1.2 billion. The bill authorizes the use of approximately $100 million of documentary stamp tax revenue set aside by the Water and Land Conservation Amendment (Amendment 1, 2014) annually over the next 20 years to finance land acquisition and construction of the reservoir. The bill directs the South Florida Water Management District (SFWMD) to begin the formal process of purchasing land from willing sellers. The project is subject to Congressional approval to secure the 50/50 cost sharing agreement authorized for other CERP projects. 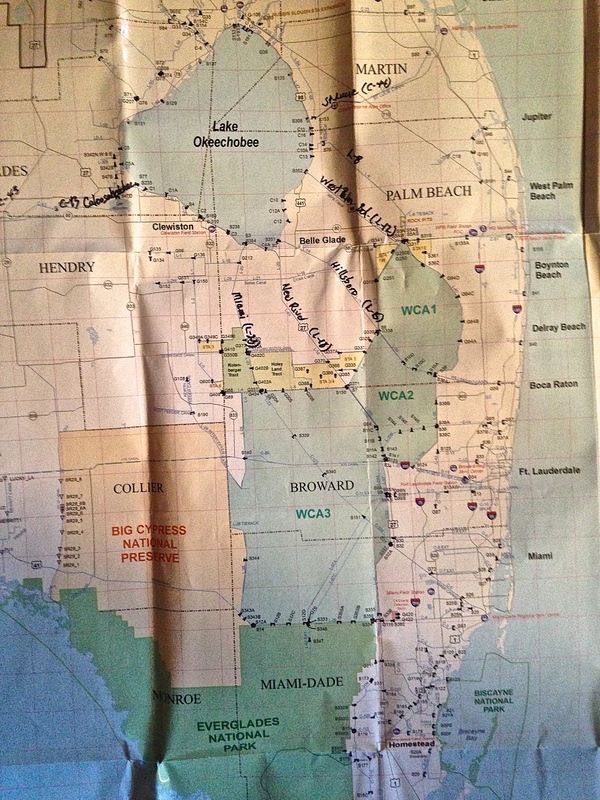 If the SFWMD is unable to identify sellers of land appropriate for a reservoir through an open solicitation by the end of 2017, the legislation authorizes the Board of Trustees to exercise the option with U.S. Sugar entered into in 2010 to buy 153,000 acres of land in the Everglades Agricultural Area, for the purpose of securing the 60,000 acres necessary for the reservoir and to begin planning the construction of the reservoir. If the state is ultimately unable to purchase land for the reservoir by November 30, 2018, the legislation increases the ongoing Legacy Florida appropriation by an additional $50 million for the CERP, which includes a reservoir in the Everglades Agricultural Area as a key component. This is in addition to Legacy Florida’s existing commitment of $200 million. 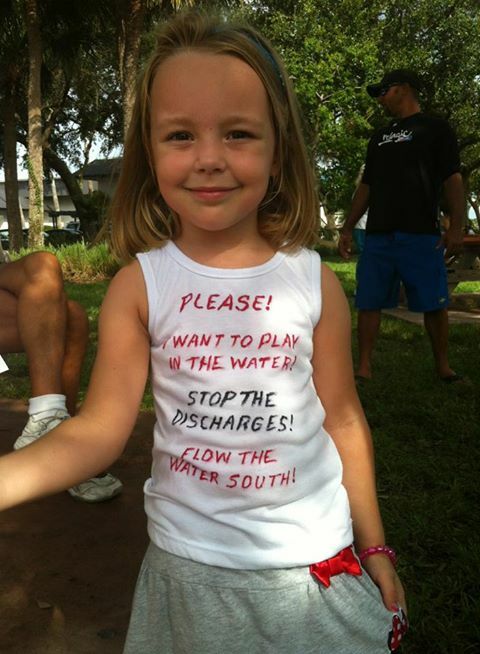 Legacy Florida also requires preference among these projects to be given to projects that reduce the harmful discharges from Lake Okeechobee to the St. Lucie or Caloosahatchee Estuaries. 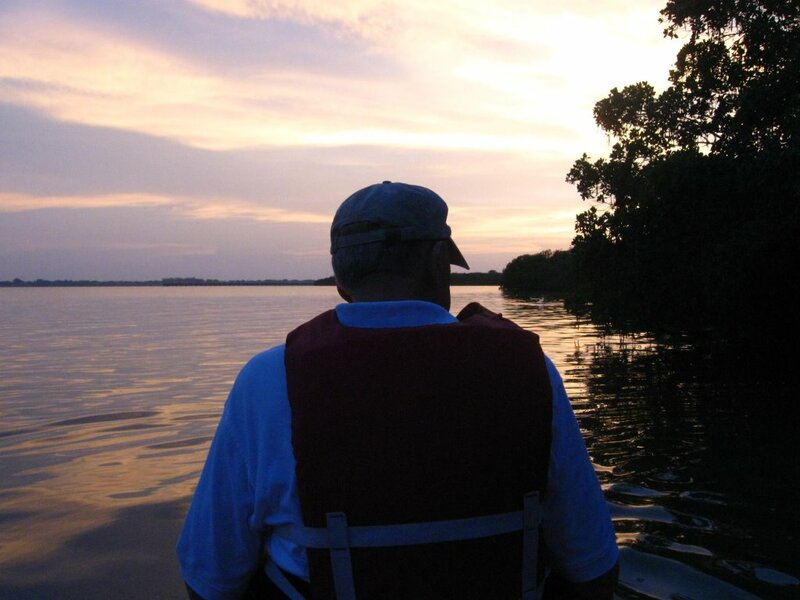 As we move forward, I have a personal mission to work with the agricultural community, to work with Florida’s best scientists, and to work with every member of the Legislature, to protect our estuaries, to protect our lagoons, and to put the harmful discharges from Lake Okeechobee that destroy our environment and harm our economy into the past pages of history instead of the daily front pages of newspapers. I appreciate your consideration of this proposal and look forward to discussing it further in the days and weeks ahead. 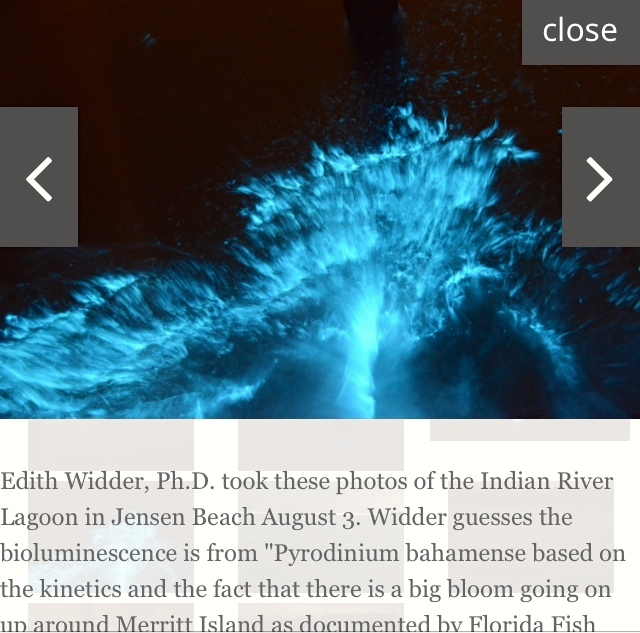 From what I’m told, the last water story the Discovery Channel did was on Flint Michigan….perhaps the next will be on the Lake Okeechobee and the St Lucie River/Indian River Lagoon…. Discovery reporter Katie Carpenter visited Stuart yesterday just for a tour. 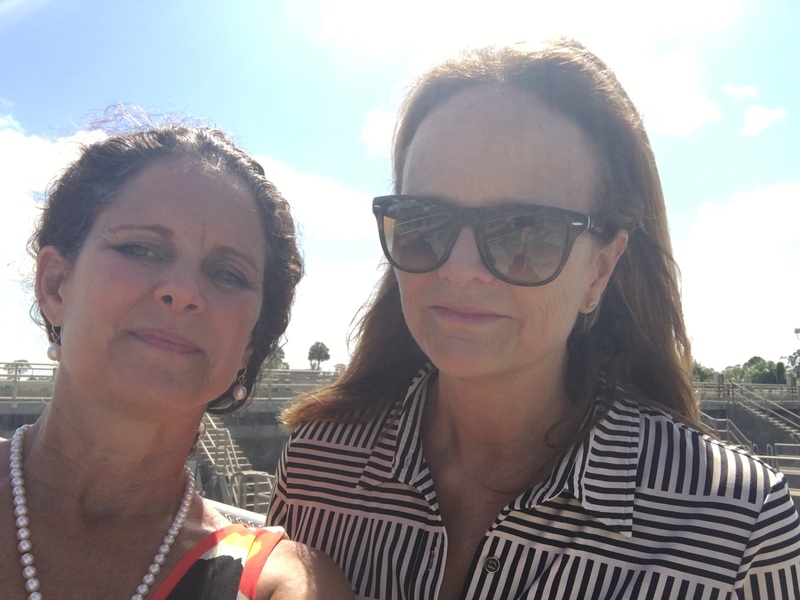 She visited Florida Oceanographic speaking to Mark Perry, others, and then met with me at the Town of Sewall’s Point for a tour of the area. She is just doing preliminaries–groundwork, seeing if there is a story. I did my usual spiel trying to be a good hostess; I’ve done this before for high level government officials and reporters, and I am happy to do it—-it’s how we are going to change this mess–by sharing our story, putting it out for the world. So I put my smile on, got out my history books, maps, photographs, and river advocacy educational materials from 2013 and offered a road tour. 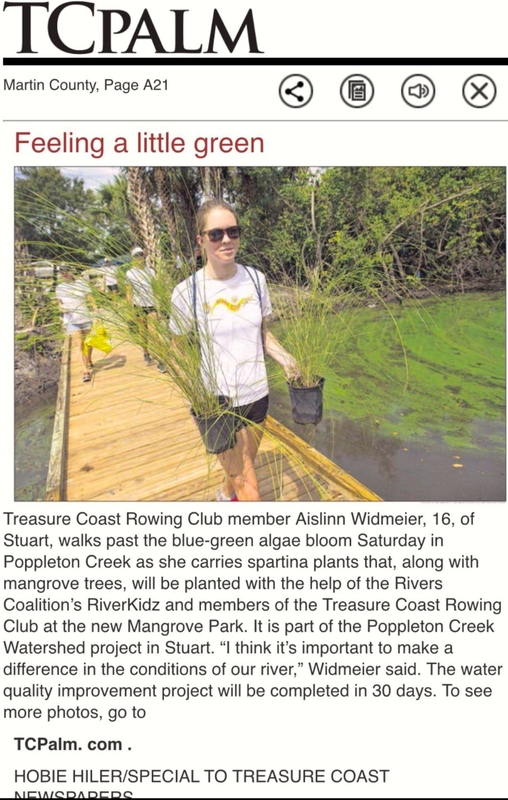 Not only did I see particulate algae in the water off Sewall’s Point but mats of it awaited us at Sandsprit Park, The Harborage Marina under the Roosevelt Bridge in Stuart, and most dramatically at St Lucie Locks and Dam where the waters of Lake Okeechobee are released by the ACOE along C-44 through Structure-80 into the South Fork of the St Lucie River. Today I will share some photos and videos from the trip to continue documenting this 2016 Lake O Event that started January 29th, 2016. It’s a crazy story isn’t it? From most biodiverse estuary in North America to a health hazard. I wish there were a better story to Discover. Katie was brought to our area through locals who referred her here. We have many connections. Yes, the world is Discovering what is happening here, and this exposure will help facilitate change because we definitely have a story. Looking north over algae bloom and 7 gates releasing Lake O water and agricultural canal C-44 water. JTL and Katie Carpenter, Discovery Channel 6-21-16.